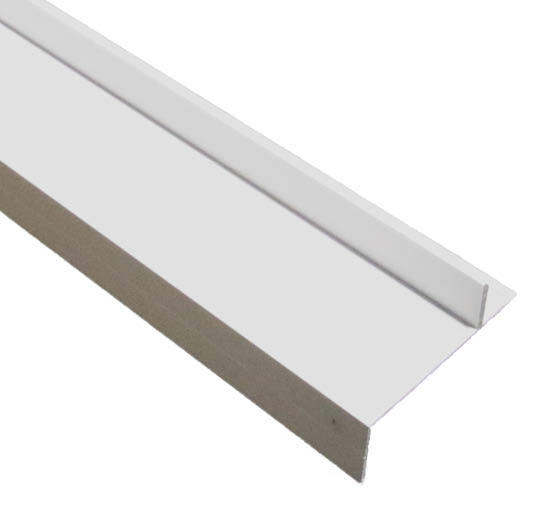 See what is in-stock in our Round Track, Square Track, and Flat Track Sliding Door catalog: Roll Track Sliding Doors. Keyhole track offers versatility, strength and ease of use. 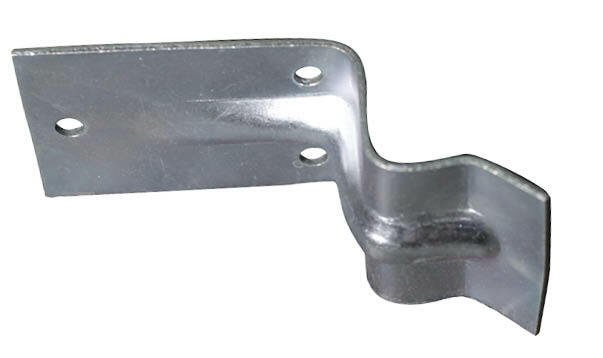 This adaptable track style can be used with any sliding door variety or bracket type – and installs with a simple connection of brackets into keyholes before mounting. 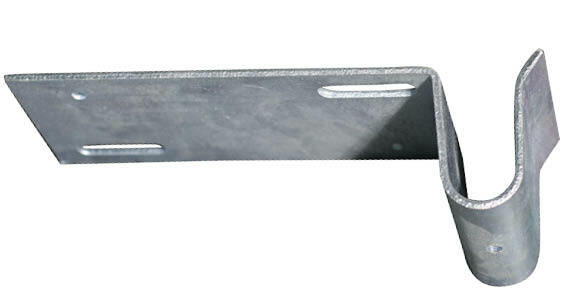 Keyhole Track is commonly used in both wood and metal frame construction. 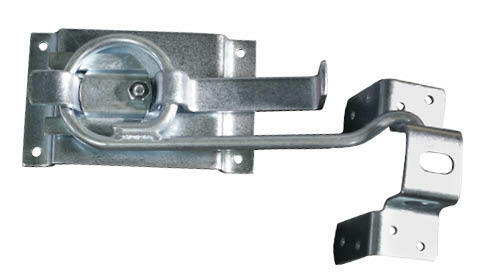 Can manage sliding doors weighing up to 600 lbs. 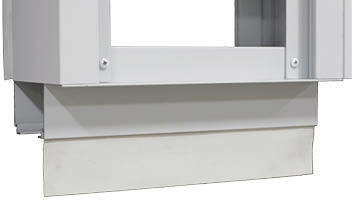 Accommodates track cover additions on doors up to 2-1/2” thick with various bracket options. 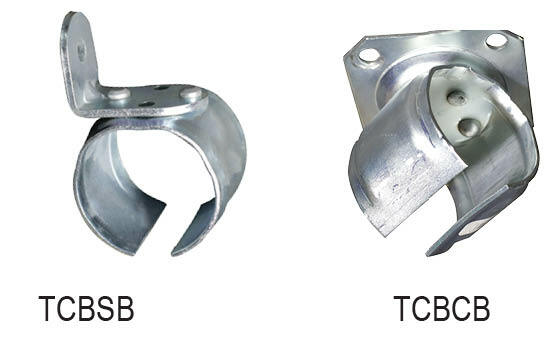 The round design has the advantage of being self-cleaning and giving smoother opperation. 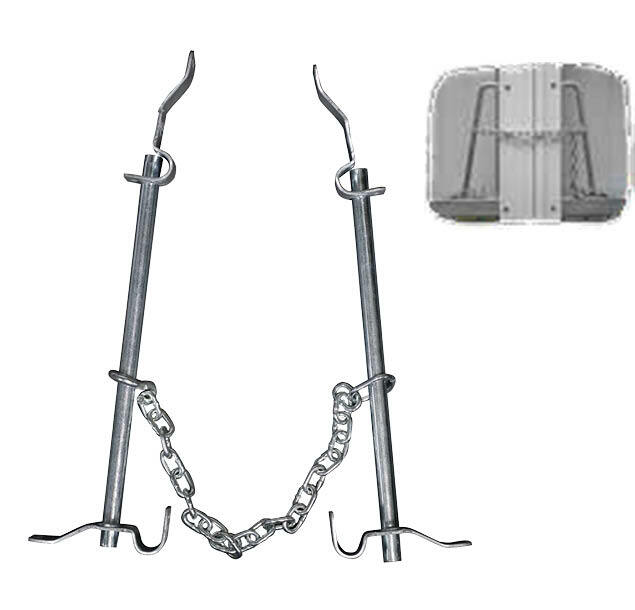 Stocked Sizes: 8′ – 20′ lengths (every even foot) in 14 guage steel. 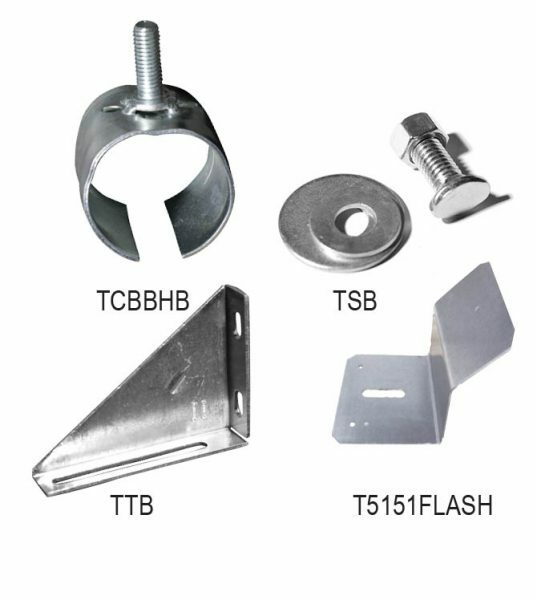 The Pendant Bolt installs through the top of the horizontal, allowing for easy adjustment and a perfect fit. 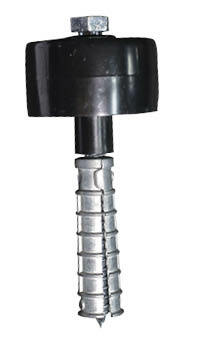 For maximum flexibility, the offset bolt version offers four directions of adjustment: up, down, in and out. 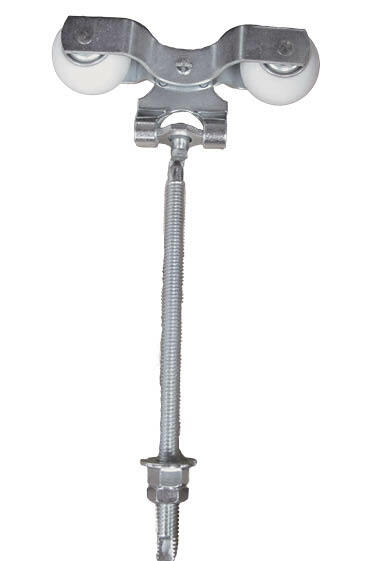 Stocked Sizes: 6-1/2″ 4-way adjustable pendant and 9″ straight pendant. Built to handle the heaviest sliding door panels, Double Truck Trolleys are the perfect choice for steel frame doors on Heavy Duty Tubular Track with Universal Bracketry. 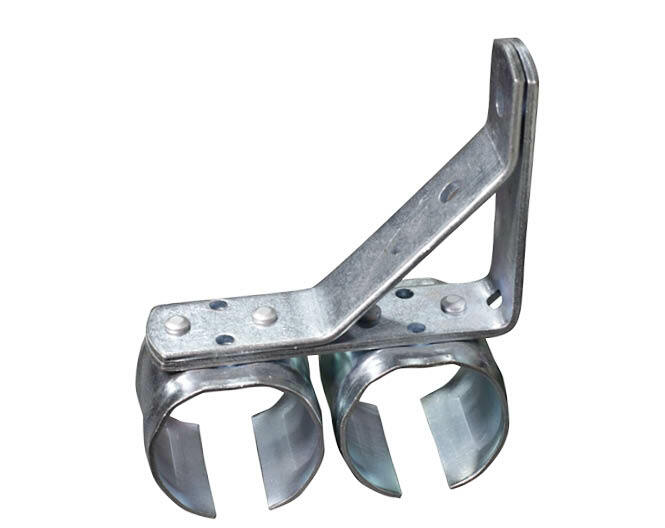 The product design features four wheels per trolley, allowing it to support door weights up to 1200 pounds. Brackets spaced every 12” on center. 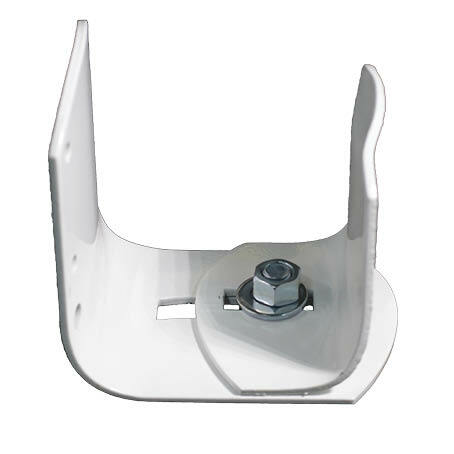 An optional plate sits just below the top girt, preventing the bolt hole from distorting. Strap Trolleys attach to the front face of wood panel doors, with bolts that go through the panel for a solid hold. Designed for use on CannonBall’s Keyhole Track line, Face Mount Brackets contain an integral rivet that interlocks into the keyhole slot. 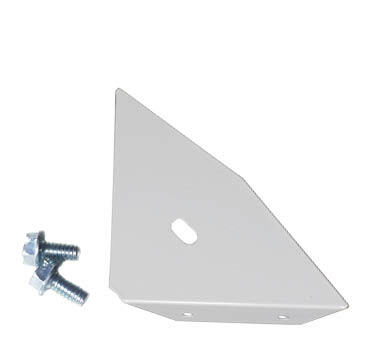 Simply tap the bracket into each slot and mount to the face of the header board. The simple assembly provides an easy way to install the track on your building project. 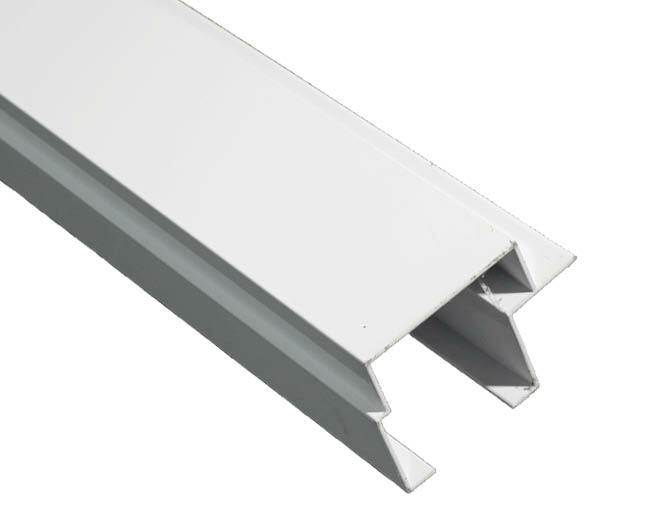 The Universal Double Bracket – an ideal choice for double track runs – allows two lengths of Heavy Duty or Keyhole track to be installed in parallel for bypass sliding doors. 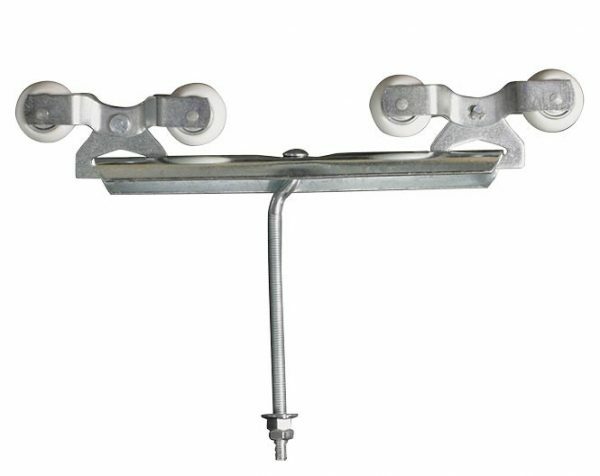 Like the Universal Side Bracket, the Universal Double supports doors with weights over 600 pounds. 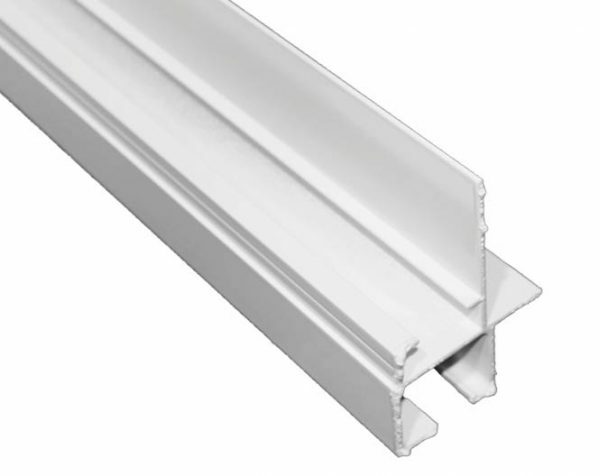 Highly recommended for bypass sliding door configurations. 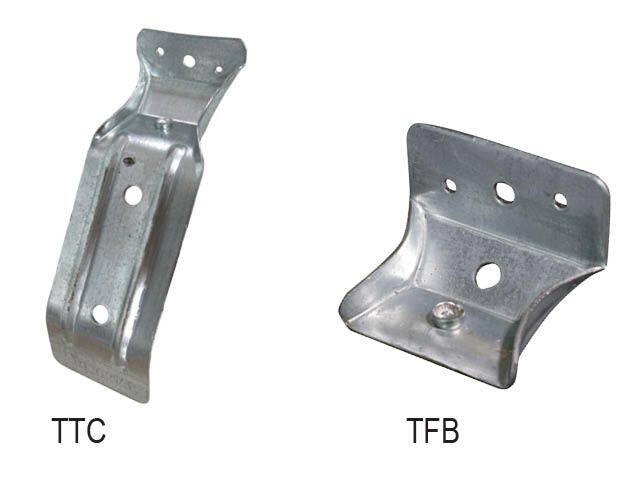 The versatile design of the bracket allows for use as an end bracket, intermediate bracket or splice collar – depending on your building project’s needs. Bracket allows builders to convert Keyhole Track into Bolt Hung Track functionality. 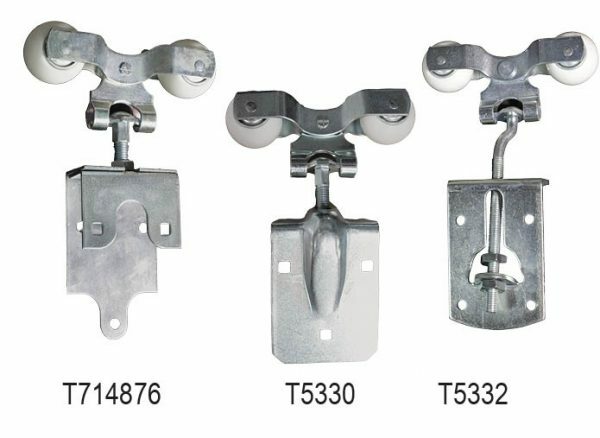 Designed for use on heavy weight sliding door projects utilizing Keyhole Track varieties, Universal Side Brackets and Universal Ceiling Brackets mount easily. 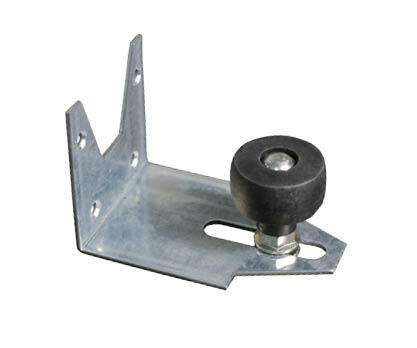 Universal Ceiling Brackets can be utilized to mount directly to a ceiling beam or truss for added flexibility in tight spaces with limited head room. The versatile design of these brackets allows for use as end brackets, intermediate brackets, or splice collars. 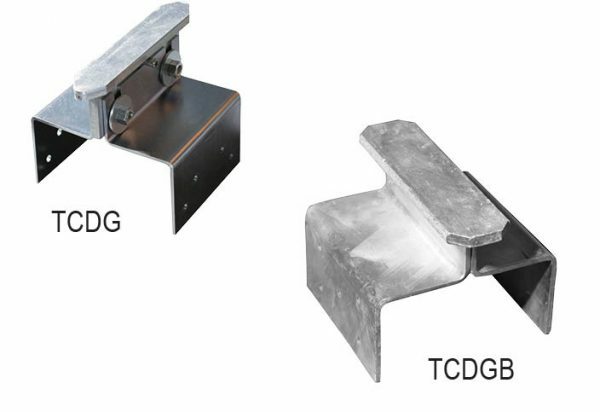 Both Universal Brackets support sliding doors with weights over 600 pounds (when used in conjunction with appropriate Heavy Duty Track and spaced every foot on center). Connects track lengths together to make a single, elongated track. 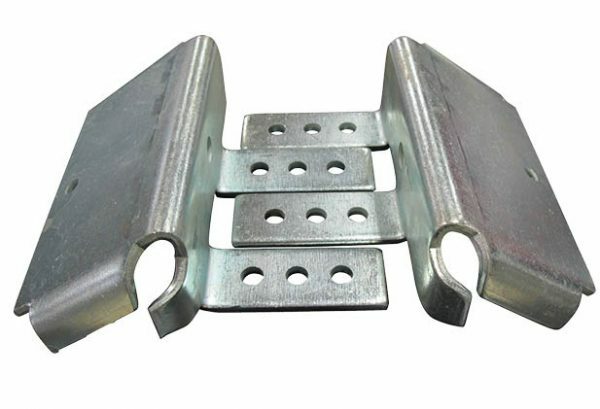 NOTE: Shorter track lengths utilizing Splice Collars save on shipping and install easier than long track lengths. 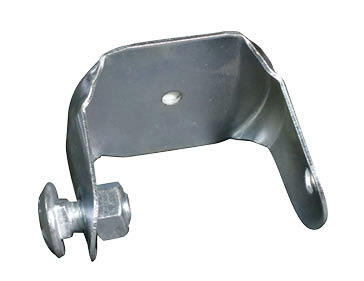 Attaches to open ends of the track, preventing birds from nesting as well as dirt and debris build-up. 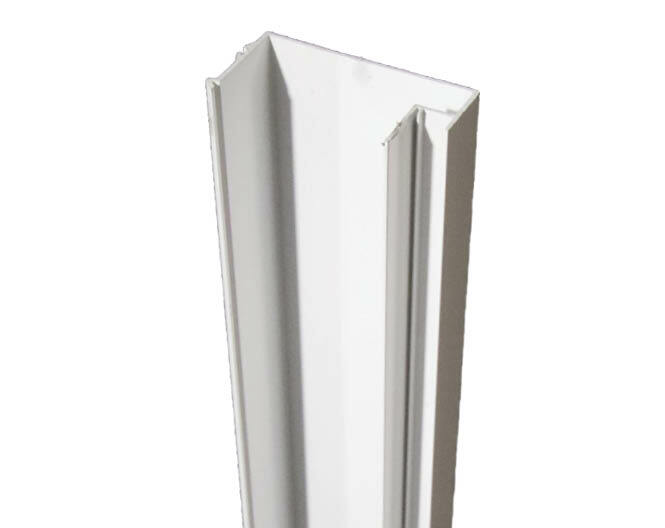 NOTE: End Caps cannot be used as door stops. 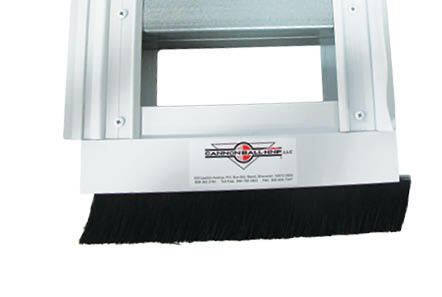 Prevents door panels from opening or closing further than a predefined stopping point. 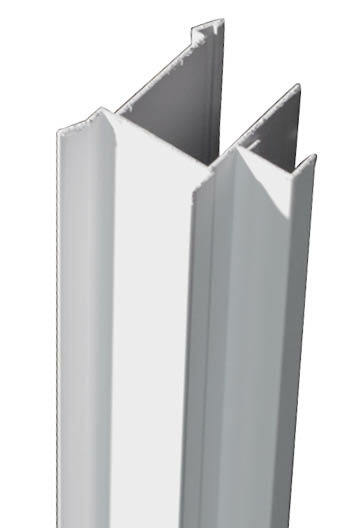 Available in white and unpainted galvanized. 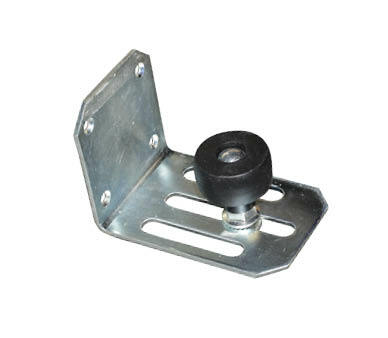 Adjustable door stop that mounts to the door jamb. 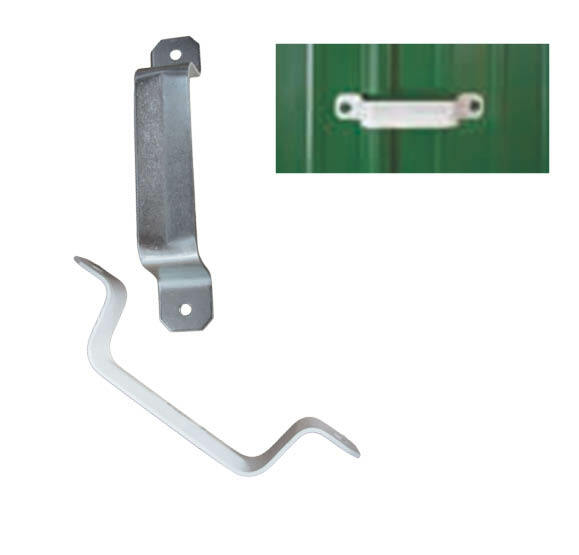 Prevents door panels from moving or rattling when closed and tightens as the door moves; available in several styles based on intended use. Locks doors from the inside and pulls panels tighter against the building to reduce rattle. 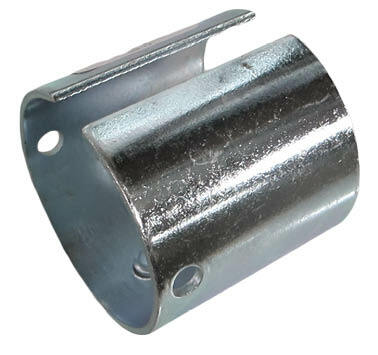 Can be locked with a pad lock. 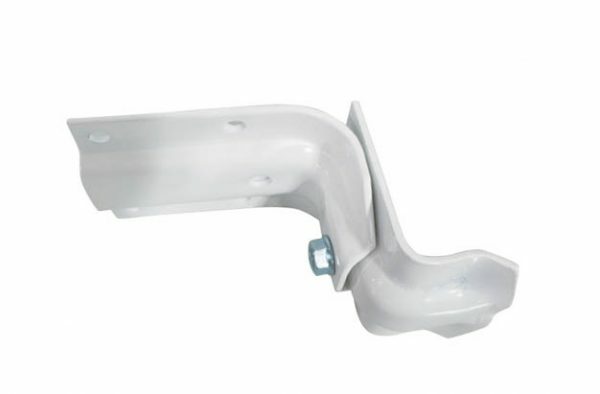 Assists with the door opening and closing; a handle attached to door panels. 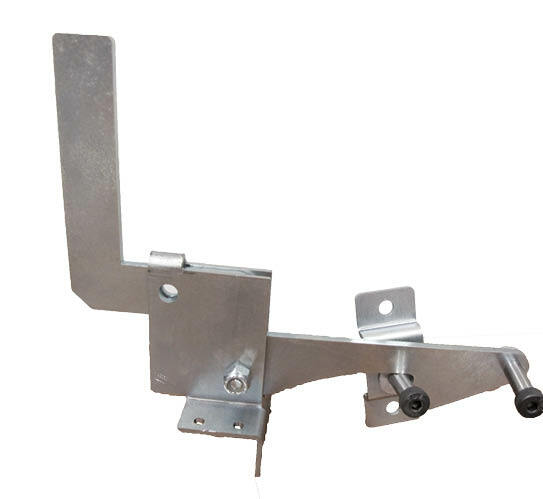 Guides the door along the building, reduces the amount of door sway and prevents opening or closing beyond a predefined stopping point. Stocked in white and unpainted galvanized. Sold in a pair for front and back. 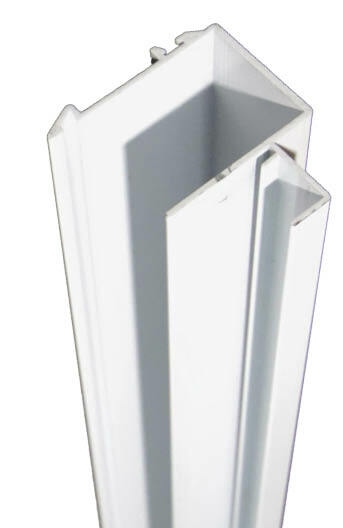 Accomotdates a 3-1/2″ wood insert. 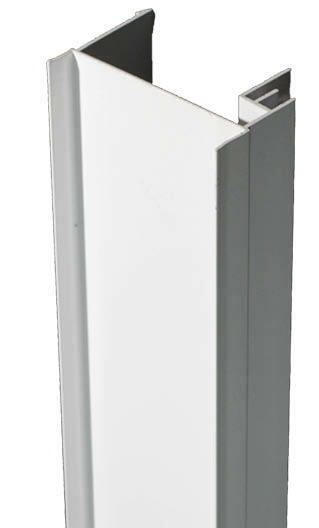 Multiple color options in stock with many more available for special order with extra lead times.